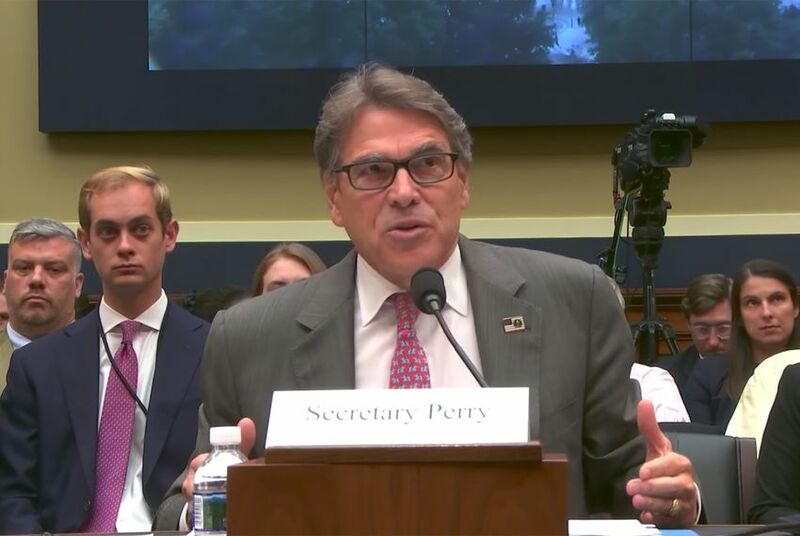 His comments came during an event hosted by NBC News and Axios in Washington, D.C., where Perry was to lay out the administration's upcoming energy policy priorities. The former Texas governor brought up sexual assault while describing a recent trip to Africa, where he was told “people are dying” because they lack access to energy, according to a transcription by The Hill newspaper. “But also from the standpoint of sexual assault, when the lights are on, when you have light that shines, the righteousness, if you will, on those types of acts,” Perry continued. Perry has been pushing the expansion of fossil fuels since he assumed the position as energy secretary. The Sierra Club, an environmental group that generally supports Democratic candidates, called for Perry’s resignation following the interview. “It was already clear that Rick Perry is unfit to lead the Department of Energy, but to suggest that fossil fuel development will decrease sexual assault is not only blatantly untrue, it is an inexcusable attempt to minimize a serious and pervasive issue,” the Sierra Club said in a statement.